The elections will be held in seven phases starting on April 11 and go on till May 19. The results will be declared on May 23. How many people are eligible to vote in this election? Around 90 crore people are eligible to vote this time, the Election Commission has said. The number is an increase of about 9 crore compared to last time. It is estimated that about 13 crore voters this time will be first-time voters. The actual number of people who do vote, however, is far less. Even though 2014 saw the highest turnout ever in independent India's history at 66.4 per cent, it meant a huge 27.3 crore people did not vote. Why? From apathy to migration of voters, the reasons could be many. What will people vote for? Indians will vote to elect new representatives for the 543 Lok Sabha constituencies across the country. This election will choose the 17th Lok Sabha. The members of the largest party or coalition will then choose the Prime Minister. The Lok Sabha, or House of the People, is the lower house of India's bicameral parliament while Rajya Sabha is the upper house. Do the last state elections have any bearing on who will win which state? Yes. Historical data has shown that any party that wins a state election almost always wins the most Lok Sabha seats from the state if the elections are held within a year of each other. Beyond that, the probability decreases. This means that Karnataka, Chhattisgarh, Madhya Pradesh, Mizoram, Rajasthan and Telangana - where elections were held in the past year before the Lok Sabha polls - are expected to follow similar voting trends that they showed in the last assembly elections. Local body elections also give pretty fair idea of which way voter sentiment is likely to swing. One calculation (with necessary caveats) by Dhruva Jaishankar, a foreign policy expert with think tank Brookings India, in late 2018 showed that if all states voted in the national election like in the last assembly polls, the BJP-led National Democratic Alliance would score 207 --the majority mark being 272 -- while the Congress-led United Progressive Alliance will have 163 seats. What are some of the key election issues this time? The confrontation with Pakistan, triggered by the Pulwama terror attack has put national security front and centre as an election issue. The government's handling of the crisis - from the air strikes in Pakistan's Balakot to the Islamabad sending warplanes to target military installations in Jammu and Kashmir - is being closely scrutinised. While the opposition has accused the BJP of politicising the military, in turn causing a greater number of casualties, the ruling party says it has given unprecedented freedom to the armed forces to retaliate against terrorists. Farmers have launched multiple mega protests across India over the past few months, demanding the centre and state governments ensure they get better prices for produce, build infrastructure and systems to support them and in some cases waive loans which have become debt traps. With Prime Minister Narendra Modi's promise of doubling farmers' income by 2022-23 and extravagant bailout offers by opposition parties, there is every sign that both sides understand the importance of the farmer's vote. From reports that said India's unemployment is at a four-decade high to ones that suggest India lost over 1 crore jobs in 2018 alone, jobs (or the lack of thereof) has been building up to be a major election issue. The ruling BJP is expected to highlight the new law to reserve 10 per cent of government jobs for the economically weak, irrespective of caste or religion, and its measures to boost self-employment and entrepreneurship, while the opposition will fight back with data of joblessness and remind PM Modi of his promises of creating crores of jobs. A synthesis of unemployment and the agrarian distress discussed above among other factors, rural poverty and resentment emerged as a major election issue in the heartland states of Madhya Pradesh, Rajasthan and Chhattisgarh just months ago. In all three states, data showed a distinct shift in rural votes away from the ruling BJP. It may not be certain that the trend will continue but how satisfied people in villages (and cities) are with the government's efforts to lift them from poverty will definitely influence the outcome. The disruption (as a force of good or bad) from the overhaul of India's tax regime in the form of the Goods and Services Tax or GST and the shock ban of large currency notes in 2016 will ring loudly this year. While the ruling BJP has dug in its heels, barely betraying any insecurity and maintaining that the moves were good for the economy, the real question will be if small-and-medium sized businesses, and the middle-class populace, believe the party or not. While the BJP will remind voters of the string of corruption scandals that emerged during the final years of the Congress-led government before 2014, the opposition will fight back doggedly with its charges against the Rafale fighter jet deal and charges that the government encourages crony capitalism to fill its election war chest. In a country that is nearly 80 per cent Hindu, whether a temple celebrating one of their most revered deities should come up on the site of a razed 16th century mosque in Uttar Pradesh's Ayodhya is among the issues that have fueled politics on the road to the elections. Which "-ism" voters feel more strongly about will be a decisive factor in mobilising votes in one of the world's most diverse yet conservative democracies. Over the past several months, many have complained about a rise in identity politics, alongside free speech being threatened and growing intolerance. What is model code of conduct? When does the model code of conduct come into effect? The model code of conduct is a set of guidelines that candidates, and political parties and governments must follow to keep elections fair. These generally include restrictions on government announcements and freebies that can influence voters. The model code of conduct comes into effect as soon as the Election Commission announces poll dates. 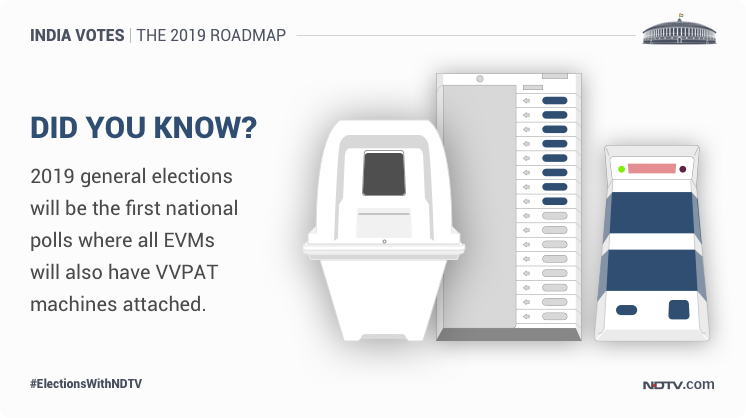 What are EVMs? What are VVPATs? An EVM or Electronic Voting Machine is an electronic device for recording votes. It consists of two units - a control unit and a balloting unit. Since 2010, the Election Commission has been phasing in a third unit called the VVPAT or the Voter Verifiable Paper Audit Trail, which allows voters to verify that their votes have been recorded correctly by printing a paper receipt. This system will be used with all voting machines in the upcoming assembly and general elections. The Election Commission says EVMs are tamper-proof and accurate. 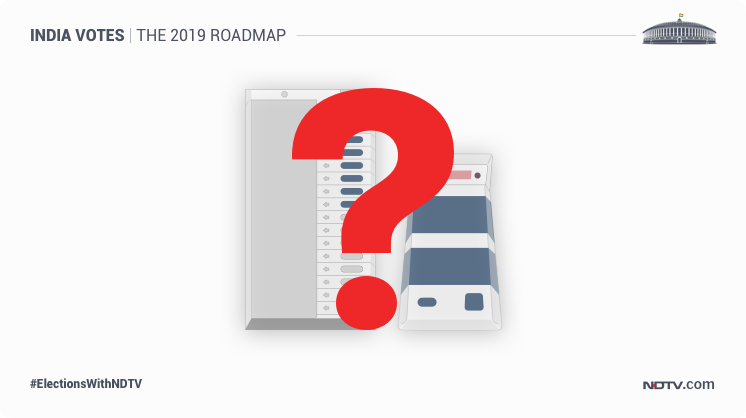 Questions have been raised over EVMs in the past few years, mostly from parties that have lost the polls (the same parties have often swallowed the questions when they won elections). To set questions and doubts at rest, the Election Commission organised a "hackathon" last year, but the allegations of voting machines being manipulated persist. But given the sheer scale of Indian elections and the size of the electorate, EVMs are unlikely to be discarded. Experts say they are certainly much less "hackable" than ballot boxes which have been known to be stolen, switched or destroyed. When did Election Commission switch from paper ballot? How long would counting take then? 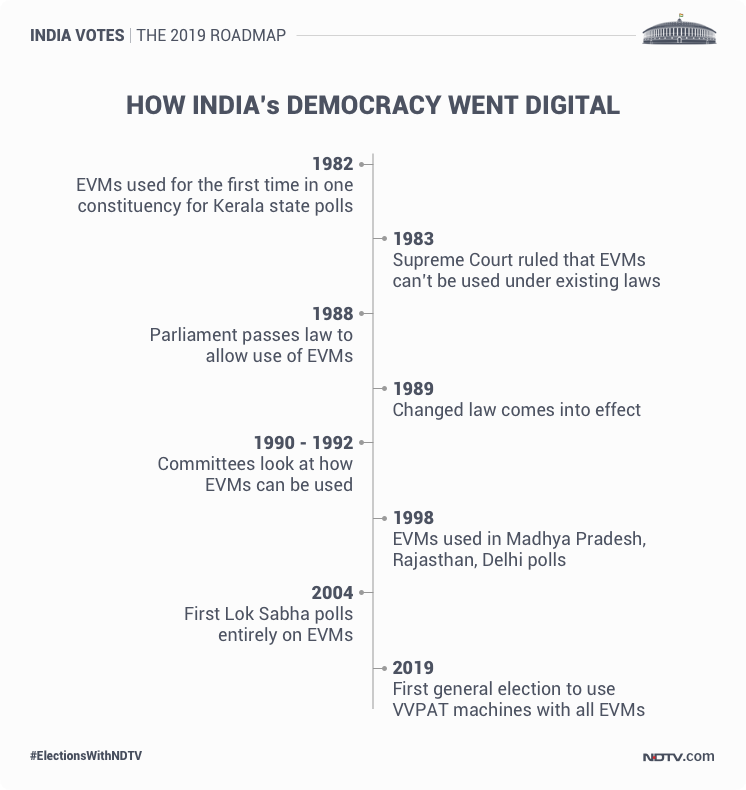 EVMs were first used in 1982 in 50 polling stations in a by-election to Kerala's Parur assembly seat. The first large scale use of EVMs was in 1998 when it was used in 16 assembly seats in Madhya Pradesh, Rajasthan and Delhi. The 2004 Lok Sabha election was the first parliamentary poll conducted entirely on EVMs. EVMs sped up the process of vote-counting by more than 10 times in some cases. While the counting of ballot papers took between 30 to 40 hours in each assembly constituency, these days results or trends emerge within two to three hours. 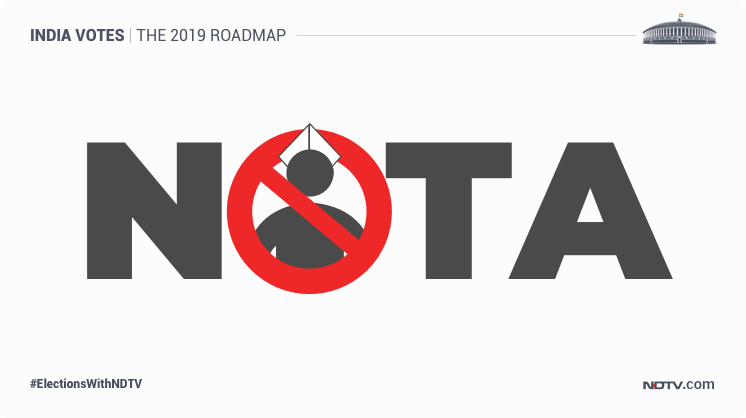 What is NOTA and when was it introduced? 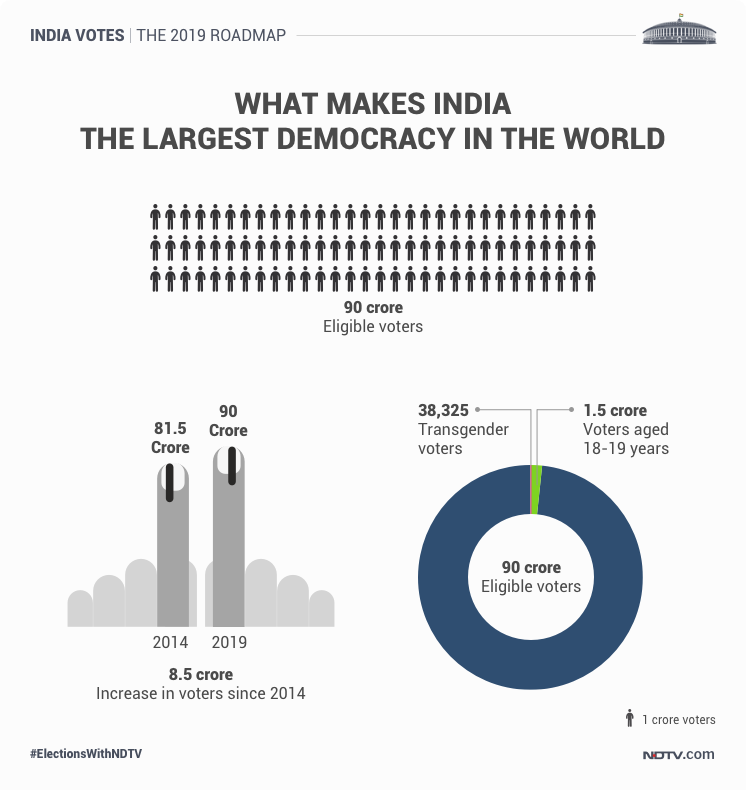 Which state has had the highest number of NOTA votes? NOTA or "None Of The Above" is a voting option on EVMs that allows voters to reject every candidate in their constituency. It was introduced In October 2013 following a Supreme Court order. In last year's election, Gujarat registered the second highest NOTA votes at 1.8% while Bihar tops the list with 2.48% votes. What would happen if number of NOTA votes were higher than the votes for main parties contesting? According to the Election Commission, even if the number of voters choosing NOTA is higher than the number of votes polled by any of the candidates, the candidate who has the largest number of votes has to be declared elected. What if I can't find my name in the electoral rolls, who do I go to for help? You can contact the nearest Election Commission office or visit the National Voters' Services Portal at www.nvsp.in. What if I don't have an election card? How do I register? Can I register online? 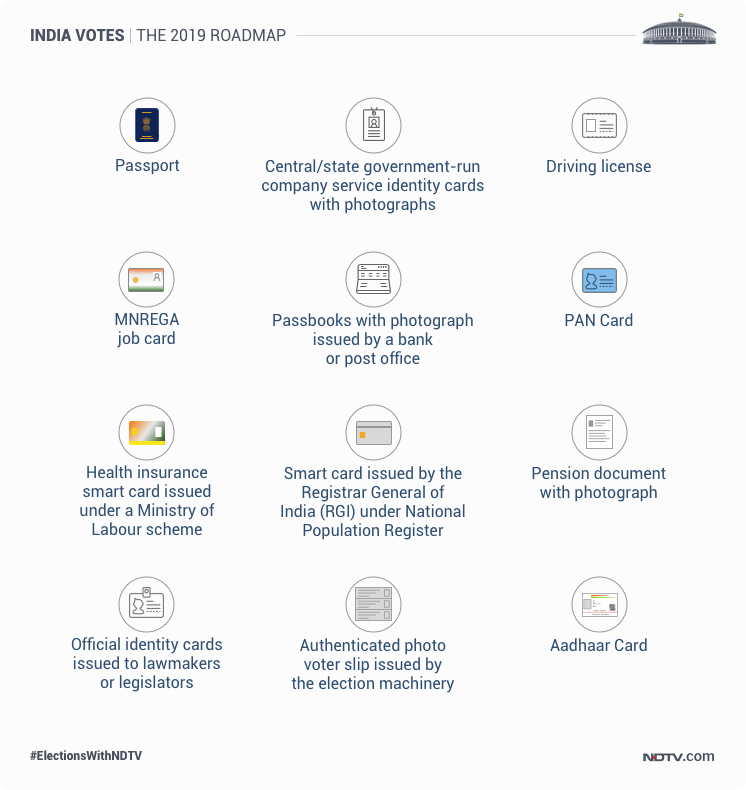 If don't have these, you can register both offline and online for a voter ID card. To register offline, you have to visit the state election office and request a Form 6. After filling in the necessary details and providing all relevant documents, you can submit the form to be issued the election ID at a later date. You can also register online by visiting the National Voters' Services Portal at www.nvsp.in. Can current MLAs contest Lok Sabha seats? Can they hold both positions? Yes, a legislator can contest parliamentary elections in India. However, according to the Prohibition of Simultaneous Membership Rules, 1950, they will have to resign from the state legislature within 14 days of the Lok Sabha election results being declared. Therefore, they cannot hold both the positions. 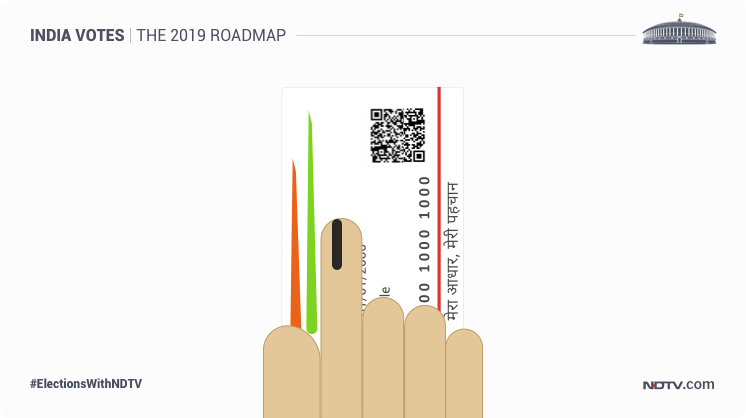 Can I use my Aadhaar card to vote? Yes. As long as you have your name in the voters' list, you can walk in to a polling booth and cast your vote with an Aadhaar card as ID proof. Do NRIs have any voting rights? Yes, as long as they have not acquired citizenship of any other country and are otherwise eligible to be registered as a voter at their place of residence in India. Can I vote using postal ballot? Only if you work for the military, the government or are on election duty and are posted outside your state; or you have been taken into custody as "preventive detention". Bellwether seats are those that have historically voted for the winner. 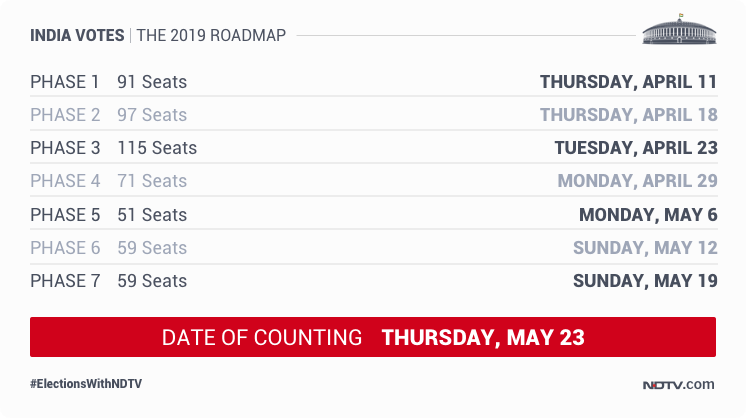 The sentiment in the run up to the polls and early trends on counting day in these seats often act as some of the surest indications of what the outcome will be.